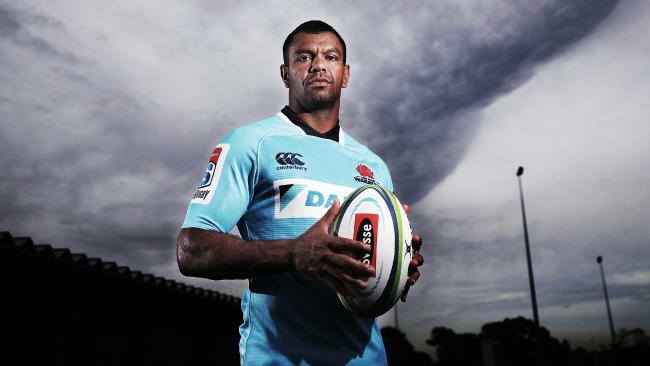 KURTLEY Beale has revealed how he was racially abused in South Africa in his Super Rugby debut in 2007 in an incident that left him struggling mentally, ahead of the Waratahs' semi-final in Johannesburg this weekend. The Waratahs midfielder opened up on being called a "black c---" by an unnamed opponent when he debuted against the Sharks in Durban. Beale, the Tahs' most important attacking weapon as they seek to win their first playoff match in South Africa in history against the Lions, made the revelation as part of a video he shot for headspace to combat mental illness and depression among young men. "A lot of the struggles were growing up around alcoholism, drugs, domestic violence; a lot these had a kind of impact [on me]," Beale said. "Instances where I've experienced racism - no one knew about it - in my first professional rugby game, in South Africa, at the bottom of a ruck and someone's called me 'a black c***'. "It was pretty hard to deal with, but whenever I've felt that, I'd go to my grandparents and they'd keep telling me to try to use it as motivation to keep pushing on and keep moving forward in life." Beale was instrumental in NSW's stunning comeback victory over the Highlanders in last week's quarter-final, creating the first two tries that began his side's climb from 23-6 down to 30-23 winners. 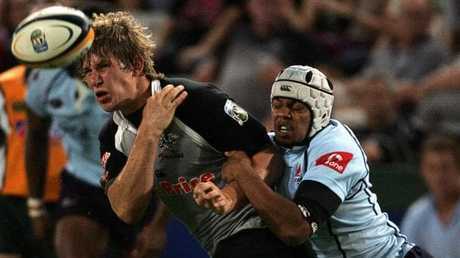 Beale's teammate Nick Phipps said from Johannesburg that the inside centre's impact on the squad is invaluable. "KB is that man for us, he is our spark,' Phipps said. "That ability to turn nothing into something and his control, he wants to be in that leadership role driving the way we play as much as possible. Kurtley Beale on his debut in 2007. There is no suggestion Francois Steyn (pictured) was involved in any racist remarks. "When we want to know how the squad is going we ask him, because he has got that feel. "If he's playing great footy, we're all playing great footy." Beale is keen to see young men seek help for mental health issues as he has done. "In my earlier years I got mixed up with alcohol, and it was my first year of professional sport, I didn't really start off the way I'd like it to," Beale said. "Having that respect for who you are and what you want in life, that doesn't allow me to go down that wrong path again. "Those bad choices in the past, having that experience, allows me to pass on information or advice to young kids who may be dealing with what I went through. "If you're suffering from a certain illness, picking up a book and reading about it and understanding exactly what it does gives a lot of understanding for yourself so you can push through, and pull yourself up if you are going through something, and reach out to people and seek help." The organisation headspace National Youth Mental Health Foundation is on Wednesday launching "headcoach" amid studies showing one in seven men aged 16-24 experience depression or anxiety each year but only 13 per cent of them seek help. Beale is among a number of high-profile athletes involved in the campaign. 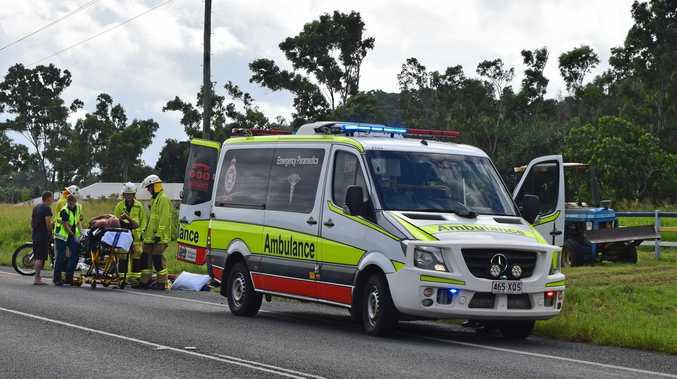 "While young men commonly understand the importance of maintaining their physical health, they do not place the same emphasis on maintaining their mental health, and many simply don't know where to start," said headspace chief executive Jason Trethowan.